In advance of Kerbal Space Program’s aerodynamics update, Felipe Falanghe has gone through what virtual astronauts, cosmonauts and spaceship engineers can expect, as well as reiterating the goals of the project. The current system has a few problems and gameplay limitations. The meaningless of cargo bays and noses, the lack of differences between streamlined and non-streamlined builds, the inefficiency of wings and their inability to produce a lot of life, and the trickiness of building spaceplanes with the with the UI are all issues the next update is concerned with. 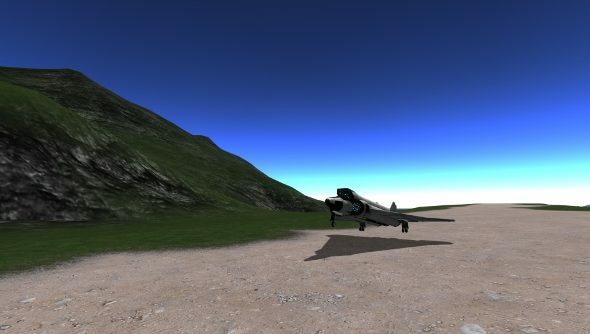 At the moment, Squad plans to create an improved lift model, improved drag simulation and changes to craft designing, specifically spaceplanes. The latter involves creating a new UI which displays more information clearly, so engineers won’t have to rely on trial and error. Falanghe doesn’t think the UI will fix all the problems, though, so Squad is also developing a handy warning system that highlights potential issues with a craft as well as tutorials that teach would-be designers how to build a functioning spaceplane. Concerns about the impact big changes will have on mods has also been addressed. Kerbal Space Program finally hit beta late last year, which brought with it over 170 changes to the Early Access game.